TOWNHOME COMMUNITY CURRENTLY UNDER CONSTRUCTON! 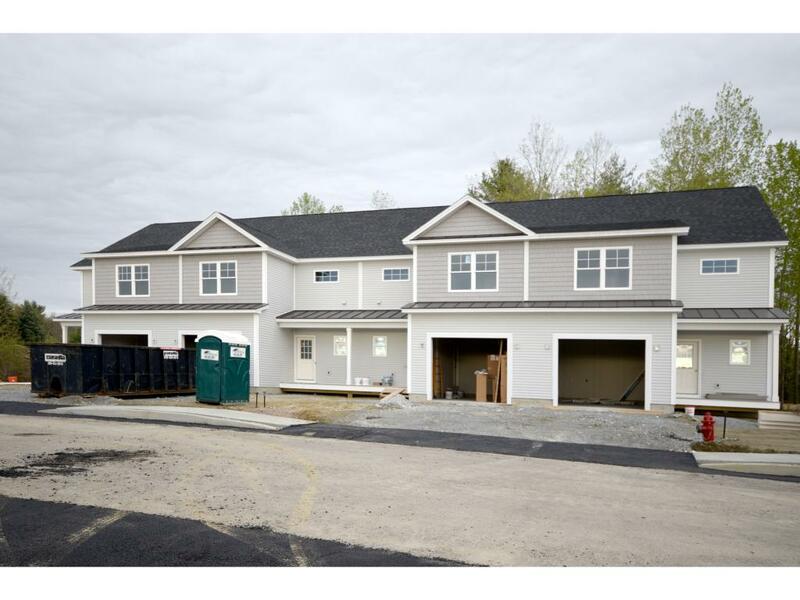 Wonderful new community in Essex with 17 new Townhomes just moments away from The Links at Lang Farm, Essex Resort & Spa, restaurants, shopping and bike path! 5-Star energy efficient construction. Sunny, open floor plans with 9 ft, first floor ceilings offering over 1700 fin, sq. ft. including 3 bedrooms and 2.5 baths plus a full basement with egress window for easy future finishing. Enjoy cooking and entertaining in the gourmet kitchen featuring maple finishes and an island/breakfast bar. Convenient 2nd floor laundry, private master suite with dual closets and en suite bath. Upgrades include standing seam porch roof and granite counters. Meet with our designer to choose from a varied selection of flooring materials including hardwoods! Gorgeous mountain views plus easy commute to the mountains for hiking or skiing. Easy access to Burlington for colleges Church Street or Lake Champlain. Directions: From 5 Corners in Essex Junction, take Route 15 east onto I-289, take exit 10, turn right, then left onto Freeman Woods, site for townhomes is at end on left.